PETERS, CHARLES JEFFERY, lawyer, office holder, judge, and politician; b. 8 Oct. 1773 in Hempstead, N.Y., second son of James Peters and Margaret Lester; m. first 23 Nov. 1797 Elizabeth Baker in Upper Canada, and they had 12 children; m. secondly 19 Nov. 1823 Marianne Elizabeth Forbes in Saint John, N.B., and they had nine children; d. 3 Feb. 1848 at Salamanca Cottage, just outside Fredericton. 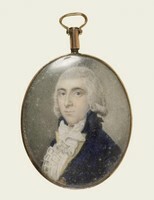 Originally named Jeffery in honour of Sir Jeffery Amherst*, Peters was renamed Charles Jeffery after the death of his younger brother Charles in 1775. In 1783 he accompanied his father, a central figure among the loyalist élite and one of the signers of the famous “petition of the 55” [see Abijah Willard*], on the spring fleet to Nova Scotia, arriving at Parrtown (Saint John) in May. The Peters family would remain influential for several generations. James, the father, was appointed a justice of the peace and judge of the Inferior Court of Common Pleas for Queens County soon after his arrival there and later became lieutenant-colonel in the Queens County militia. He was elected to the House of Assembly in 1792 and remained a member until he retired in 1816. Among Charles Jeffery’s brothers, Thomas Horsfield served as the Probate Court judge for Northumberland County from 1825 to 1851 and as a member of the Legislative Council from 1845 until his death in 1860. Harry, a member of the assembly from 1816 to 1828, sat on the Executive Council from 1828 to 1832 and on the Legislative Council from 1828 to 1843. William Tyng became the clerk of the Legislative Council in 1833 and Benjamin Lester* the police magistrate for Saint John in 1849. Sister Sarah married Thomas Wetmore*, the attorney general from 1809 to 1828. 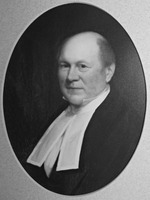 A nephew, James Horsfield Peters*, became a justice of the Supreme Court of Prince Edward Island and married the eldest daughter of Sir Samuel Cunard*; a niece, Mary, married Joseph Cunard* (Samuel’s brother), successively a member of the assembly, the Legislative Council, and the Executive Council; another nephew, Benjamin Lester Peters, was both common clerk and police magistrate for the city of Saint John, as well as a judge of the County Court for the city and county of Saint John; finally, a cousin, William Peters, served as a justice of the peace and, in the 1820s, as a member of the House of Assembly. 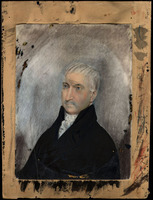 Charles began the study of law in the office of Ward Chipman* Sr in 1791, despite the latter’s pessimistic view of the possibilities of a legal career in New Brunswick. Chipman later recalled admonishing James Peters “that the business of the law was at so a low an ebb in this and the neighbouring provinces that it might be a long time before your son would be able to maintain himself by this profession.” Charles was admitted as an attorney in 1794 and, at his father’s request, began his practice in the province. 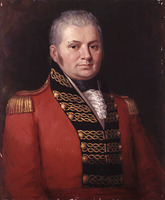 Because Chipman’s warning was accurate, however, he soon left for the Canadas, where in 1796 he was given a licence to practise in Upper Canada by Lieutenant Governor John Graves Simcoe*. His father then had to contend with Chipman’s request for the delayed payment for his son’s education. After a brief time practising law in Kingston, Charles returned to Saint John, and on 9 Jan. 1799 he became common clerk of the city, an office that also made him clerk of the sessions, county clerk, and clerk of the Inferior Court of Common Pleas. 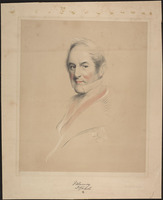 (When he resigned this commission on 3 June 1825 he was replaced by a nephew, James Peters.) In 1799 as well Edward Winslow*, the surrogate general, appointed him deputy surrogate and judge of probate for Saint John County. He assumed these duties on 5 October and held the positions until 1827, when he took a leave of absence during his tenure as solicitor general; a permanent replacement was appointed in 1828. Peters also held two other offices concurrently: judge of the City Court and keeper of the records of the city and county of Saint John. 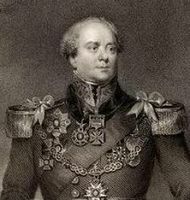 On 8 Feb. 1808 he became judge of the Vice-Admiralty Court. 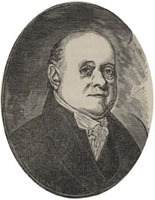 Peters’s private practice in Saint John increased substantially when his chief rivals, Chipman and Jonathan Bliss*, were raised to the bench in 1809 and he became the senior practising lawyer in the province. He was said to have had for many years the most lucrative practice of any member of the bar, and he built “a very handsome stone residence” in the city. But not all of his cases were of the type to yield substantial rewards. In 1810 he unsuccessfully defended the Reverend James Innis, a Baptist minister charged with breaking the marriage laws of the province, and shortly thereafter he was the legal counsel of Henry More Smith, the jail-breaker immortalized in Walter Bates’s The mysterious stranger . . . (New Haven, Conn., 1817). Yet the position turned out to be less lucrative than Peters had hoped. One major source of fees was taken from him in 1828 when the commissioner for crown lands, Thomas Baillie*, decided to place in the hands of the advocate general, George Frederick Street*, prosecutions against those who cut timber illegally. Moreover, Peters’s predecessor as attorney general had been given large advances for work that Peters was left to perform and for which he could not gain payment since Wetmore had died insolvent. Finally, during the restructuring of the land-granting system in 1827–31, the primary responsibility for preparing land grants was transferred from the attorney general to the commissioner of crown lands, and Peters’s fees were commuted in 1830 for £400. Protesting that the amount was too small, he petitioned London, vainly, for compensation. Despite his complaints Peters remained one of the highest-paid civil servants in the colony, with a salary at least as large as that of any of the puisne judges, and he had probably developed a substantial private practice. In 1834, on the death of John Saunders*, he applied for the post of chief justice but contrary to the “usual routine” of advancement he was passed over for Ward Chipman Jr, who had better contacts in London. Moreover, he was not offered – apparently because it was assumed he would not accept – the less-well-paid vacancy on the bench created by Chipman’s promotion. On 22 Oct. 1834 he chaired the meeting held by the bar to protest the appointment to this judgeship of James Carter*, a British lawyer, although out of solicitude for Carter’s position he declined to sign the petition drafted at the meeting. During the next few years, as the revenues of the land-granting department and Peters’s responsibilities increased, he continued to appeal against the sum he had been given as compensation, claiming that the loss of fees had cost him £700 per annum. Yet in 1845 he declined to apply for the vacancy on the bench created by the resignation of William Botsford*, likely because of his advanced age, although perhaps also from financial considerations. Peters’s primary responsibility as attorney general was to represent the crown’s interest before the courts and to initiate public prosecutions. Partly because of the fees involved, for many years he conducted virtually all of the government prosecutions in the colony. Occasionally these cases brought him to public attention, particularly in 1828 and again in 1831 when he took charge of prosecuting American trespassers in the disputed territory of Madawaska. 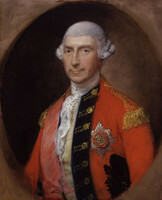 Throughout his term he was involved in the problems surrounding the gradual transfer of control over the provincial lands and forests from the lieutenant governor to the assembly, rendering opinions on the legality of ownership of lands granted prior to 1784 and on Thomas Baillie’s actions. As the attorney general, he was the head of the bar and attended meetings of its members; he was active in the Law Society of New Brunswick, founded in 1825, and participated in its reorganization as the Barristers’ Society in 1844. But he does not seem to have been particularly eminent at the bar. Few students-at-law came into his offices, and those who did appear to have studied with his partner and son-in-law, Abraham K. Smedus Wetmore; indeed, only one student – William Boyd Kinnear* – is known to have read law with him. Nor was he invited to serve on any of the legal commissions appointed while he was attorney general. Not surprisingly, Peters was largely conservative in his outlook. In 1800, for example, he was one of the lawyers who sprang to the defence of slavery [see Caleb Jones*]. He appears to have been a moderate in his religious views, believing that the Church of England, which he supported, should not rely on the government or on any form of “extrinsic aid.” But in politics he strongly championed the royal prerogative. In 1833 he defended the right of Lieutenant Governor Sir Archibald Campbell to proceed with the collection of quitrents even when Chief Justice Saunders denied their legality. A few months later Campbell recommended his appointment to the Legislative Council, but although Campbell subsequently described him as “a most zealous and efficient officer,” Peters was not among the small clique upon whom the lieutenant governor relied for advice. Nor did he play a prominent part in the deliberations of the council. In 1837 he was appalled, like most of the permanent civil servants, by the decision to surrender the crown revenues to the assembly, but he did not attempt to obstruct the implementation of the new policy. He thus retained the good will of Lieutenant Governor Sir John Harvey*, who supported Peters’s claim for compensation when the assembly discontinued in 1837 the £100 voted annually to the attorney general as a kind of retainer. In fact, it was because Peters never sought the influence exercised by such politically active attorneys general as Upper Canada’s John Beverley Robinson* that he was able to hold on to his office during the turbulent political changes of the 1830s and 1840s. He was the last person in New Brunswick to hold the position of attorney general for life. In 1846, during the lieutenant governorship of Sir William MacBean George Colebrooke*, he was appointed to the Executive Council. Whether Peters could have retained the attorney generalship on a non-political basis during the transition to responsible government is questionable, but it was a challenge he did not have to face since he died on 3 Feb. 1848 “after a short but severe illness.” He was survived by 14 of his 21 children, to whom he left 22 city lots (some with buildings) in Fredericton and Saint John, rented at an annual income of £553, 30 unrented city lots, and one farm near Fredericton. Between 1848 and 1860 the executors of his estate paid out £7,131 2s. 6d., and when the estate was finally settled in 1878 an additional $5,989.74 was disbursed. He thus bequeathed a substantial legacy. There are occasional references to Peters in the Colonial Office records, esp. PRO, CO 188/37: 140; 188/41: 250–52; 188/43: 257–58; 188/45: 153–59; 188/46: 9–11, 38–39; 188/49: 328–31; 188/52: 93–98, 381–82; 188/59: 298–99, 301–11; in the appointments books at the PANB, esp. RG 3, RS538, B5 and I1; in the Winslow papers, UNBL, MG H2, 9: 115; and in the Harvey papers, PAC, MG 24, A17, ser.ii, 4: 1161–62. There is a small collection of Peters family papers at the N.B. Museum and useful genealogical information in A Peters lineage: five generations of the descendants of Dr. Charles Peters, of Hempstead, comp. M. B. Flint ([Poughkeepsie, N.Y., 1896]); Observer [E. S. Carter], “Linking the past with the present,” Telegraph-Journal (Saint John, N.B. ), 30 Sept.–23 Oct. 1931; and the New-Brunswick Royal Gazette, 2 Dec. 1823. The only secondary source of any importance is Lawrence, Judges of N.B. (Stockton and Raymond). Phillip Buckner and Burton Glendenning, “PETERS, CHARLES JEFFERY,” in Dictionary of Canadian Biography, vol. 7, University of Toronto/Université Laval, 2003–, accessed April 19, 2019, http://www.biographi.ca/en/bio/peters_charles_jeffery_7E.html.